You can’t manage what you can’t measure is one of my work mantras, and so it should be true when considering how to lighten my backpacking load. Un-packing from my Lakes trip I decided to grab the kitchen scales and for the first time weigh my gear in a quest to save my my sore knees. 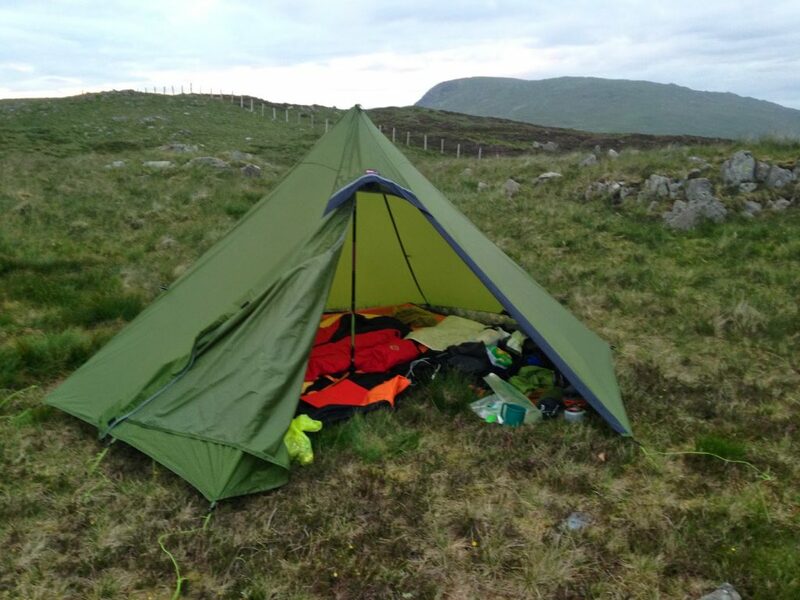 I had no obvious excess – no hefty 3kg tent, no behemoth of a sleeping bag to ditch. Friends often take the ‘mickey’ about my lightweight gear though of course it’s all relative and they’ve clearly not heard of ultralight! But when it comes to counting grammes the law of diminishing returns rules. The incremental ££’s spent to shave extra grams can be considerable, but so can the trade-off in terms of practicality, usability or plain old comfort – else we’d all save some weight and ditch the shelter! So I figured that by actually understanding where my weight was, would at least let me make an informed judgement as to where I could shave some grammes if I chose. Here are some initial findings and musings on the main areas of weight. 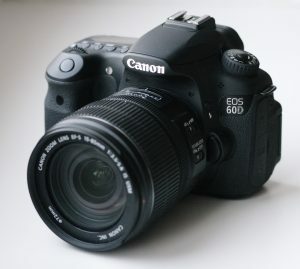 Camera – The first shock was my camera!. Over the past couple years Ive enjoyed getting back into using my dSLR but a quick pitch onto the scales showed my Canon 60D and 17-85 lens with a couple of filters and a small table-top ultrapod tripod weighs 2kg! Admittedly I could take a lighter lens, but it’s a cracking lens and goes wider and longer than the much lighter stock 18-55mm lens. As a comparison my Panasonic Lumix LX5 compact camera weight 300g. However, the real question for me is the trade-off between the versatility, control and sheer joy my dSLR gives me versus a significant weight saving. I knew it was heavier, though not by that much, but I can at lest now make an informed judgement decision on a trip by trip basis. Interestingly a camera is not always included in base weights – some would say that if you’re carrying it, it’s not in your pack-weight. Semantic I say, my knees still feel it! Sleeping – My PHD Minim 300 sleeping bag and Neoair inflatable mattress (regular length) at 615 g and 380g respectively are reasonably light and efficient in the performance/weight stakes. In fact I’ve been considering a new bag which is warmer (and heavier) for early spring and late autumn. I know others have reservations about the comfort and robustness of the NeoAir but I’m happy with it. And I’ve taken to using spare clothes as a pillow after my Exped inflatable pillow sprung a leak. So no quick/easy win here. Shelter – my new Luxe Hex Peak shelter is not the lightest option at an all-up weight of 1340g including pegs, stuff sack and pole extender. My Laser Competition tent is nearer 1kg but the benefit of twice the space and extra stability of the Hex Peak mean I’m currently happy the extra grammes are worth it. The breakdown is 620g for the fly, 495g for the nest, with the rest split between pegs and extender. I suspected the pegs would a quick win as standard supplied ones tend to be relatively heavy but the V pegs with the Hex are a paltry 10g each including the small tie loop. On my first couple of outings with the Hex Peak I should really have counted an extra 320g as I only took the Fizan Compact walking poles because I needed for the shelter (zero logic, I know!). However, after the recent Lakes trip I have to confess I’m a convert to poles…..just don’t tell anyone! The downside is I’m now carrying the 320g in my hand rather than counting them in my pack (or maybe thats an upside as I don’t need to count it in my base weight now). Tarping it! – on the second night of the Lakes trip I didn’t use the inner, except as a groundsheet. Many backpackers are opting for a tarp set-up such as the Trailstar which doesnt even have a door. I’d always quite enjoyed the cosy confines of a small tent, particularly in bad weather when you could zip up and snuggle down. I found it ironic that many a Trailstar user would immediately seek out an inner or a bathtub floor and even how to fashion a door….doesnt that make a tarp a tent..!?! Without the inner the extra feeling of space was immediately apparent, though a warm damp evening did mean a few inevitable midges. I can see how in the height of a Scottish summer then a fly-only (no pun) option would would be midge hell, hence the number of tarp users who use a bivvy bag/nest. I left the door wide open at first – pleased that my view across to the main Lakeland massif were as unimpeded – though it also meant that I could watch the midges home in and enter inside. It was a pleasant evening without the inner. Everything was easily at hand, it felt more airy, possibly a little more drafty, though I can pitch the fly higher or lower according to conditions. I’m definitely open to leaving the tent inner at home for the next trip, that it’s a viable option and I can choose to save 0.5kg if I wish and the conditions allow. Midges aside, one concern of not using the inner was whether my sleeping bag would get damp from brushing any condensation on the inside of the fly. The Hex Peak is long enough for me not to worry unduly about it (though maybe not if you are over 6′). I have been researching the bivvy bag as an option and have just ordered a cuben Borah Gear ultralight side zip bivy (a paltry 140g) to offer me some moisture and bug protection without the need to take the inner. Pack – Of late, for backpacking, I’ve been defaulting to my OMM Villain pack with the optional MSC pouch on the front, my other packs are more streamlined and climbing orientated. When I bought it a few years ago the Villain at 1200 g was probably classed as fairly lightweight for a 45+10 litre pack and has several removable items (allegedly it can be stripped to 750g) but with a load of over 10kg I find it doesn’t carry weight that well with the weight not transferring to the hip-belt effectively. The back panel is a removable foam/polystyrene mat with an integral metal frame – weighing this I was surprised to see it is 233g itself. It’s designed to be removable and you can insert your own sleeping mat in its place though this would suit foam mats rather than my NeoAir. 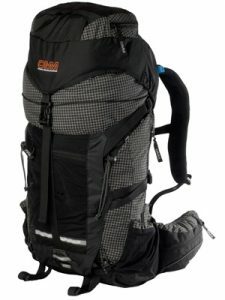 Over the past couple of years manufacturers, especially some of the smaller ones like Gossamer Gear (Granite and Mariposa get good review, Mount Laurel Designs (Exodus) and ULA (various models), are being more creative in design and material choice to deliver lighter and more usable options. Water – at 1kg per litre it’s heavy stuff but in fortunately in the UK you’re never very far from it. I tend to run hot in the hills so I find I drink a lot and am generous in the water I carried. 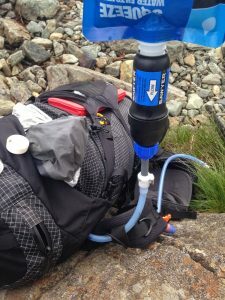 During the last trip I tried to limit the water I carried, filling up or drinking from streams during the day and boiling water from tarns in the evening. My Sawyer Squeeze filter is only 100g and if that’s too much there is Mini version at only 65g. Cooking – my current stove of choice is the JetBoil Sol (339g + 170g for small gas canister). It’s speed, convenience and packaging for me outweighs any significant weight saving I could achieve with a lighter set-up. One click of the ignition and I’m boiling water quicker than it takes me to find my tea-bags! Miscellaneous – a trawl through my ditty bag and other bits and bobs showed how it can soon add up. I also carried a Powermonkey Extreme solar charge which weighs 260g and also includes an internal lithium battery, but is probably overkill for anything less than a week. An Ipood trowel in largely unnecessary when I could use a tent peg. The head torch was largely redundant in summer when a small LED keyring light would do. Multi-tool knives are small but relatively heavy and I’ve never used it. 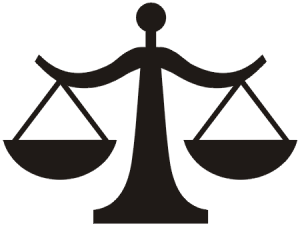 So thanks to half an hour with scales I’ve a much better handle on where my weight is, the options I have should I choose to travel lighter should trip and conditions allow, and areas where I could still seek too lighten my load without too much sacrifice. It was 30 minutes well spent and, if you haven’t already, I can recommend giving it a go. You may be surprised….and your knees will thank you for it! Hi Nigel, any quality issues with Hex? I have read about some issues with the inner. Hi Mark, I've no quality issues with my Hex Peak. I did have a problem with the first inner but which was swapped out but replacement is fine. I heard others did too – possibly poor QC on first batch, but all seems good now. Will use again without the inner – like a tarp – and drop 0.5kg. The fly itself is strong, stable and practical – a great value shelter I'd day. very nice blog . nice post keep it up .